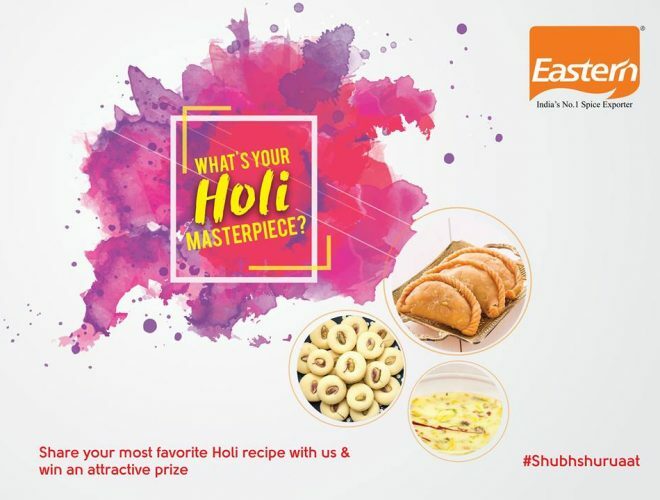 Share with us your Favourite Holi Recipe and take a Gift hamper home from Eastern. Submit your recipes here : https://l.eastern.in/2l43tzU or at Add your Recipes section on Menu. You will need to Create an Eastern Account. No other means of recipe submission are entertained. Eastern Reserves right to choose / terminate any entries.